With a history that reaches back to the time of the Etruscans, Siena rests in the heart of Tuscany. Famous for its cuisine, art, museums, medieval cityscape and the Palio, a horse race held twice yearly, the centro storico of this incredible city was declared a UNESCO World Heritage Site in 1995. 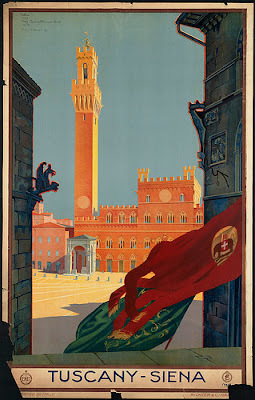 Our suggestion - a weekend in Siena! And what better a place to celebrate spring? And let us know that your coming so we can get together for aperitifs, dinner and/or touring: canadarome@gmail.com. Please note that this is an event that has been researched by CCR member Leslie Scott and executive members Diana Szyszka Pompei, Laurent Beaulieu and Will Hobbs but members and friends are responsible for making their own travel arrangements.